jFMX: exclusive software for production supervision. MCE (website), an IT subsidiary company of MCM, creates software for supervision of automation systems, services to support machining processes and integration of production equipment. Since its establishment, MCM has recognized the role of information technology as an essential element of its offer, with the benefits ensured by the synergy integration between production plants and supervision software. MCE was created for this purpose. MCE offers a number of software services organized in the modules of jFMX suite. The jFMX architecture is structured on different levels able to manage increasing plant and information complexities. At a basic level, it is possible to integrate stand-alone machines with the NC in order to improve their management and operation. An additional level includes the possibility to coordinate the automation of FMS systems with different integrated machines (mainly MCM plants, but not exclusively). At an advanced level, it is possible to manage complex systems, with machines operating with different technologies, up to the coordination and centralised management of an entire workshop. 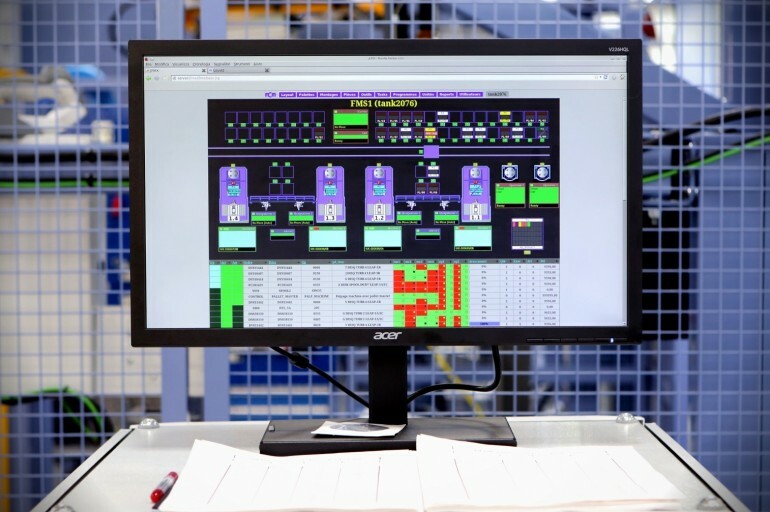 The software can automate the information flows related to the technical data, integrating the CNCs with the process engineering departments and the CAD/CAM tools, those related to production data in order to manage all the resources (machines, tools, pallets, equipment) in an integrated manner with the company ERP system. In addition, jFMX enables the integration of information flows towards the tool room, the company quality control and maintenance management systems. Production planning, advanced monitoring of productive resources, integrated management of information associated with process and quality control are the services available that offer a strategic dimension to integrated plant control and management.